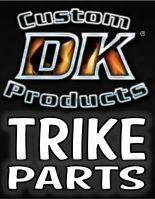 Welcome to the Trike Talk Forum & News. Latest news, new product announcements and stories of interest. Got a furry friend? You're not alone..many here do! Electronic Gadgets-hardware, software, recommendations, questions, issues, etc. Post a thread in memory of a loved one, friend, or fellow beloved member of our forum family who has passed recently or long past. Pictures and thoughts are welcome. 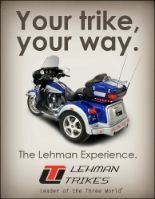 For trikers who have overcome their physical limitations and continue to ride. DeathBySnuSnu 89252 VW Powered Trik... Sticky: Tech Tech Tech, or...So you want to build a trike? 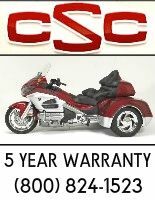 Papa Zook 16106 Poll Dance Sticky: Poll: What would it cost to replace your trike as it sits? FuzzyWuzHe 6905 Honda Trikes Tools I carry and the Bags I use. DeathBySnuSnu 392106 VW Powered Trik... Sticky: Anyone else? Rosy 650626 General Discuss... Sticky: What did you do to your Trike this week? Papa Zook 253421 New Members Int... Poll: Making The Switch - Bike to Trike - Great Info! Okie 202674 New Members Int... Handeling corners & curves? consitter 2460899 General Discuss... Late nighters---unite!!! Most users ever online was 17,654, 12-29-2018 at 09:41 PM.